As a part of our work towards our Peace Mala Accreditation, we celebrated International Day of Peace as a whole school. It was a special event which allowed the children the time to reflect on Peace and what it means to them. It also was a time to think about the message of the Peace Mala and how we value the Golden Rule of Treat Others as You Wish to be Treated Yourself. The International Day of Peace (“Peace Day”) is observed around the world each year on 21 September. Established in 1981 by unanimous United Nations resolution, Peace Day provides a globally shared date for all humanity to commit to Peace above all differences and to contribute to building a Culture of Peace. 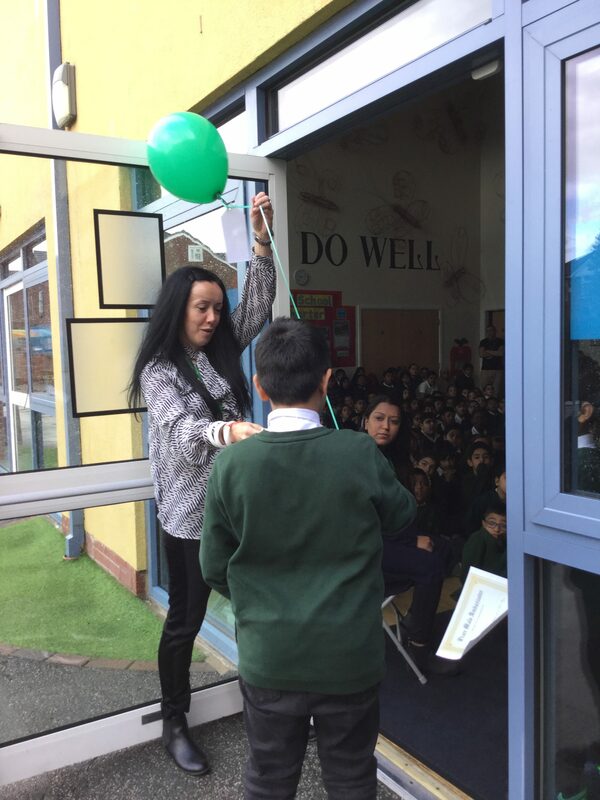 During our special assembly all of the children learnt about the 2018 Peace Day Theme this year which is ‘The Right to Peace’. The theme #peaceday celebrates the 70th anniversary of the Universal Declaration of Human Rights: “The Right to Peace- The Universal Declaration of Human Rights at 70.” To learn more you can click here: #standup4humanright is also something that supports our work as a Rights and Respecting School. It was also a time to reflect as we listened to the speech of ‘Charlie Chaplin’ from a film in 1940. In which he talks about the speed of life at the time and the speed of the radio and the aeroplane causing man (as in humans) to forget their love for all and focus more on their own needs, leading to greed and violence. We thought about putting the needs of others first, the impact of our behaviour on others and ensuring that we impact positively with everyone that we meet. 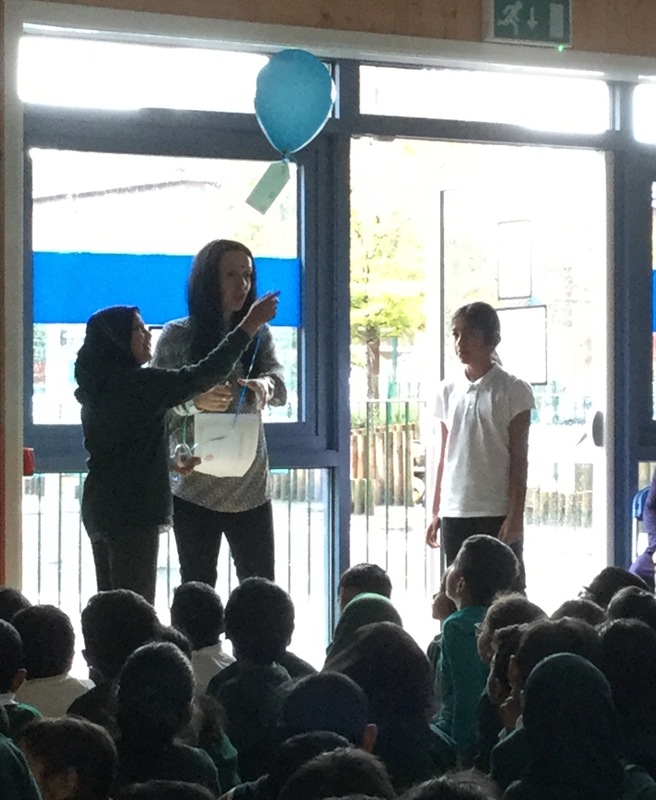 In this special assembly, we also named our 6 new Peace Mala Ambassadors from Year 5. 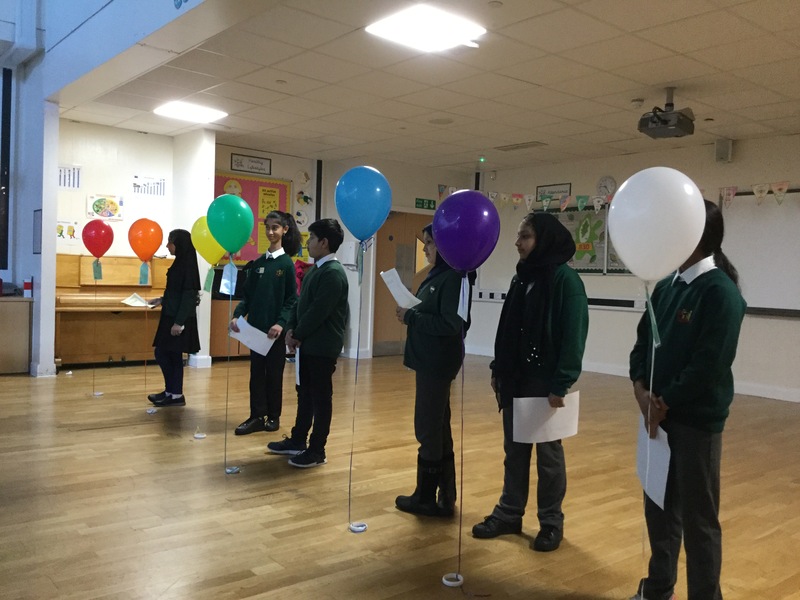 These children released a balloon with our Year 6 Peace Mala Ambassadors for the six major faiths of the world. Attached on these balloons was a message from our children to spread our hope for peace. We have asked whoever finds them to messages us at school, so we can see how far our ‘Peace Mala Messages of Peace’ have travelled! 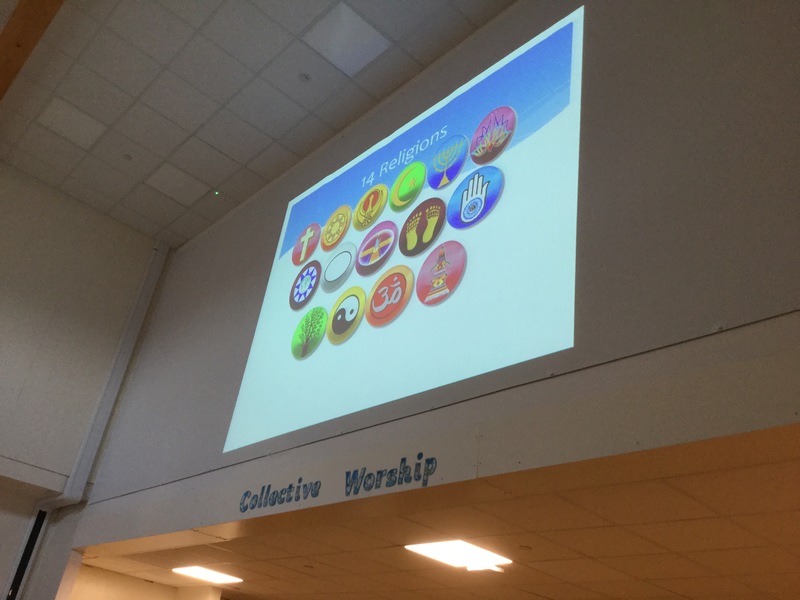 As a Peace Mala School, we hope to teach the children the importance of community cohesion and global citizenship using the Golden Rule, “Treat others as you would wish them to treat you”, as a focus to encourage positive relations between all faiths and those with no faith. We also support our Rights and Respecting Work by focusing on the needs of others and their human rights, emphasising to the children that they have rights and to be aware of the rights of others. We stress that how we behave in life affects everyone we meet and how an awareness of this can help create a better world, making us better citizens globally. 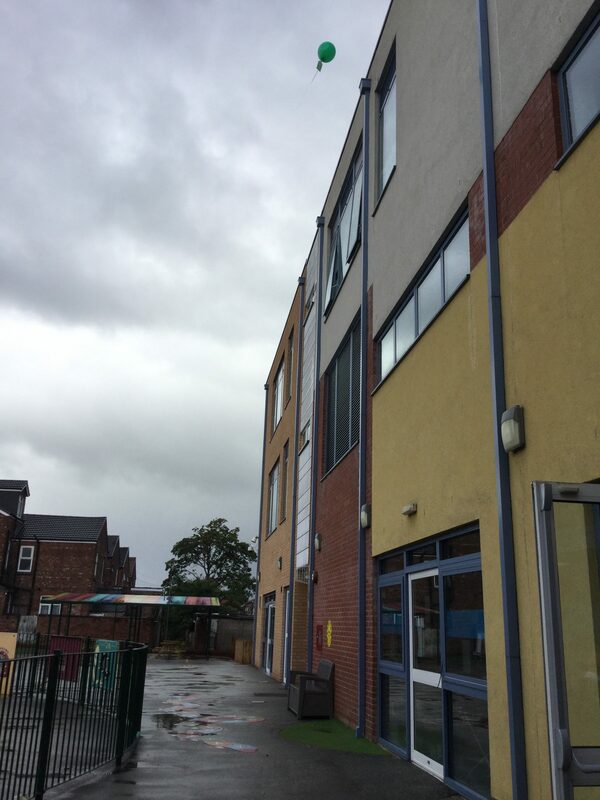 We want our pupils to be advocating that they will make wholesome changes locally and globally, and become positive example to their peers and the community in which they live. We celebrate diversity through creativity which includes the involvement of local cultural communities, such as faith and ethnic groups. Though our environmental work and responsibilities and sustainable change: promoting environmental sustainability in Longsight and projects to support our safety in the streets, healthy eating with our families, and respect for all animals and wildlife in the local area. Finally, promoting that intolerance of others can be changed, we just need the voices of acceptance to be louder. In July 2017, we took part in a special service at Llandaff Cathedral, we were so proud of the children on the day and their part in the choir of 10 schools that have Peace Mala Accreditation across the country who also attended. We have posted the highlights of the day below for you to enjoy. It was an extremely special day for all 14 major faiths across the world that were involved. It was very moving to see all faiths representatives together, praying for World Peace. Well done St Agnes Primary! 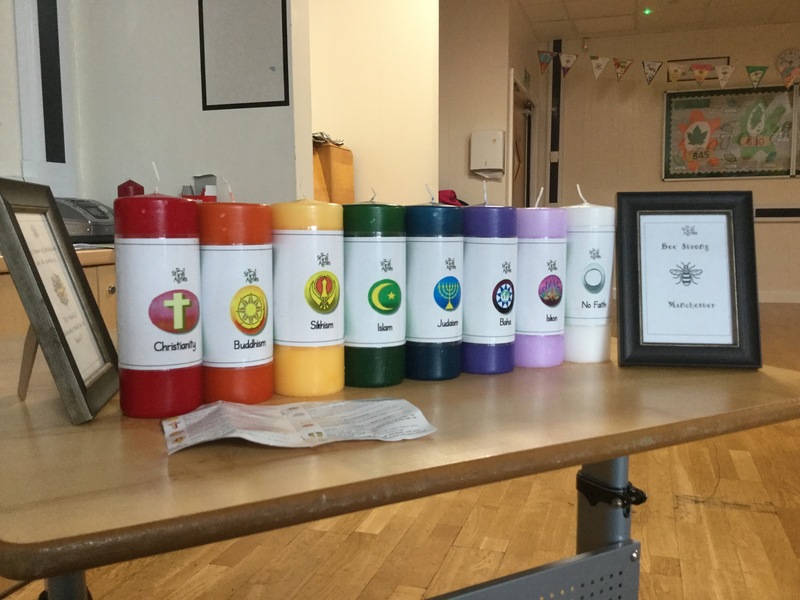 We are so proud of your wonderful Peace Mala work and look forward to celebrating your Peace Mala Accreditation!